Chael Sonnen’s promotion Submission Underground attracted much publicity initially due to ability to attract and pair UFC fighters with top notch sport bjj competitors. However since then it’s gone through a bit of a slump as evidenced by the 5th edition. 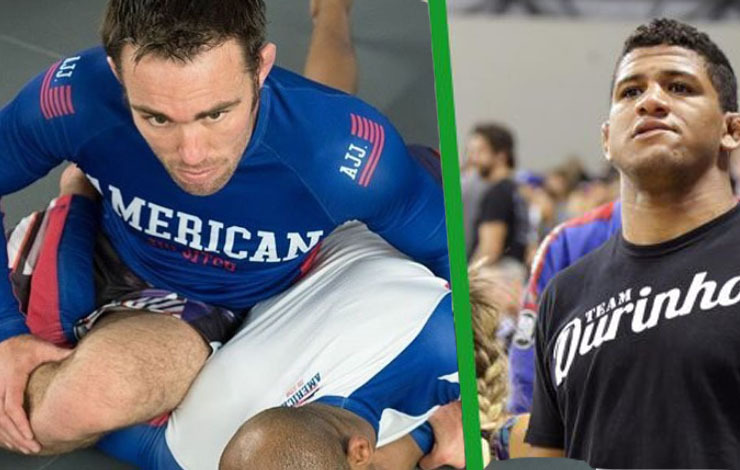 But they’re still at it and working vigilantly on producing good match ups – it’s just been announced the 6th edition of the event will feature Jake Shields vs Gilbert Burns. Interestingly both UFC competitors (although Shields has since left the promotion) who are nowadays more often seen grappling competitively. SUG didn’t have the easiest time putting this card together as evidenced by the official poster which is staring the coheadliners – Tim Sylvia and Chael Sonnen’s coach Fabiano.